The European Union yesterday (16 May) set a June deadline for Poland and Hungary to start admitting their share of refugees from overstretched Italy and Greece or risk sanctions. Eastern European countries like Hungary and Poland have opposed an EU plan adopted in 2015 to take in 160,000 Syrian, Eritrean and Iraqi asylum seekers from Greece and Italy. “I call on Poland and Hungary who have not relocated a single person… to start doing so right now,” EU Migration Commissioner Dimitris Avramopoulos told reporters in Strasbourg, France. Member states have relocated only a small fraction of the 160,000 asylum-seekers they committed to absorbing from Greece and Italy, the Commission admitted today (2 February). 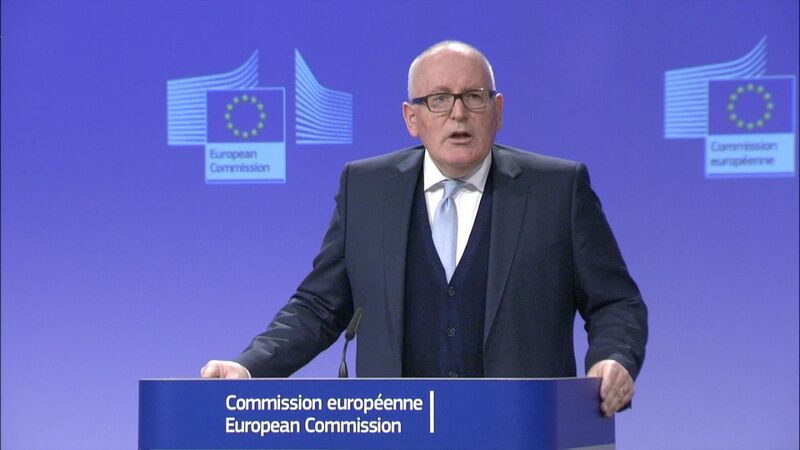 “If no action is taken by them before (our) next report in June, the Commission will not hesitate to make use of its powers under the treaties and to open infringement procedures,” he said. 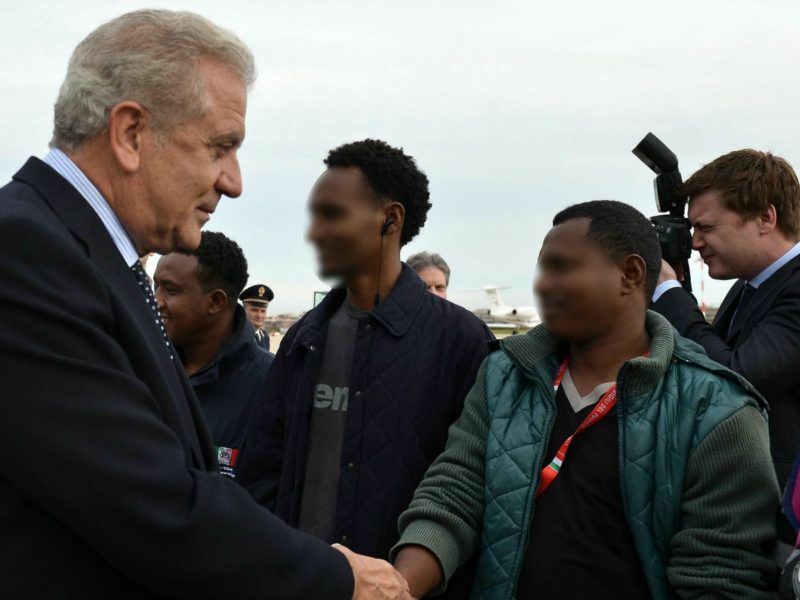 Avramopoulos stated that a total of 18,418 asylum seekers have now been relocated to other EU countries from the two Mediterranean states, saying it was a “last warning” for laggards to do their share. 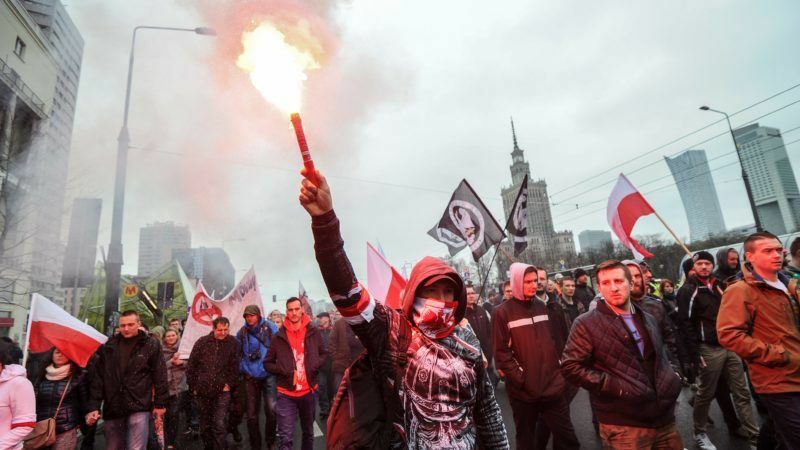 Polish Prime Minister Beata Szydło was defiant, saying: “I am not afraid of these thundering pronouncements by the Commission. Under so-called EU “infringement proceedings” Brussels sends a letter to national governments to demand legal explanations over certain issues, before possibly referring them to the European Court of Justice. Member states can eventually face stiff financial penalties if they fail to comply. European Commission President Jean-Claude Juncker and other EU officials have long expressed frustration with the slow pace of relocating migrants aimed at helping to tackle the worst European refugee crisis since World War II. More than one million migrants entered Italy and Greece in 2015. European sources blamed the delays on a series of factors: governments trying to screen jihadists in the wake of terror attacks, a lack of housing and education for asylum seekers, and logistical problems. They said some countries were setting unacceptable conditions by refusing Muslims, black people or large families, with Eastern European states the worst for discriminating on religious or racial grounds. Brussels launched the relocation plan to help people fleeing the mainly Muslim war-torn countries of Syria and Iraq as well as the east African state of Eritrea. Austria, which had asked for a temporary exemption to the scheme, has pledged to relocate 50 people from Italy. 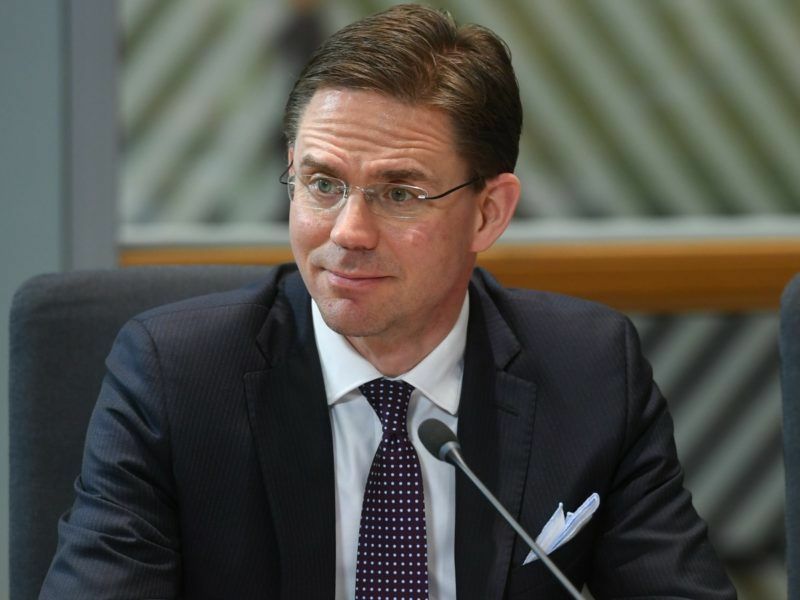 The Commission welcomed the move and urged Vienna to do the same from Greece. The Commission also put pressure on the Czech Republic to resume relocations after having said it failed to take in people for nearly a year. It also urged Bulgaria and Slovakia to “show more flexibility” on the kinds of people they admit and said Ireland and Estonia should work to clear security concerns with Italy over admitting asylum seekers. Poland is home to 1 million newly arrived immigrants from Ukraine. Is there a story you might want to report there? Is that 1 million made up of immigrants or refugees? There can be no solidarity with ethno-cultural suicide. Can any EU commissioner explain the difference between China forcing colonists on the Tibetans in order to destroy their culture and identity and the EU move to shove migrants down the throats of native Europeans? This is a crime against humanity! Many Europeans have a mixed background themselves, and the USA and Australia are full of migrants. Did not seem to lead to ‘ethno-cultural genocide’ so far, unless you want to wildly exaggerate the number of people that are actually coming over & obtain an indefinite right to stay. Illegal migrants are refused, refugees received mostly temporarily. Many Europeans don’t have mixed background themselves. That is just a lie. If you are half-Polish and half-German that still makes you 100% European, there is nothing mixed about that. And don’t be so smug about the continuation of ethnic European dominance in the countries that they now have it. Just about any genocide in history has been committed against ethnic minorities and if it is not genocide it is a policy of economic deprivation and discrimination that seriously depressing the potential birthrate. There are for example enough Kurds to have a nation of their own. Instead they live in wonderful multicultural nations in which they are violently oppressed. Xinjiang’s Uyghurs, South African boers, Hungarian Gypsies, etc, etc, Only a fool who misjudges human nature or a traitor strives to make his own ethnicity a minority in his own homeland. Hm, to your mind, it seems being “European” is something genetic or race-related. I have news for you: we are all human. What matters is how people integrate, not what their “ethnos” is, or London would have become a wasteland already long ago. Do also consider the fact that almost all refugees from Syria are Christians, so culturally (perhaps) even closer to many in Europe than those with other religions. As for your last comment, you are very gullible to believe in any conspiracy to “make his own ethnicity a minority in his own homeland”. The numbers simply do not bear this out, stop believing the lies people like Viktor Orban are pushing. The commission is working hard to destroy the lasts refuges of European racial homogeneity. This is because according to multiculturalism the white race is evil and must not be allowed to continue to exist undiluted. They use the word ‘culture’ as code but what they are really after is a multi-racial society. They are certain this is better than a mono-racial society, which can only be true if you believe there is something wrong with whites (which is just a another code word for actually meaning ‘European’) because if all races are basically the same then a mono cultural society has exactly the same value as a multi cultural society. This evil joke has another dimension: the multicultural ideology is actually not ‘multi’ at all, it only accepts one view of society, one in which ethnic blocs live side by side under one government. This is no diversity at all but a monolithic one-size-fits all template to be forced on every society in the world making them all the same. It is actually totalitarian. So you are in favour of “racial homogeneity”. No further comment needed, Mr Mosley. There is a talk that Polands, Hungary have no solidarity with immigrant taking countries. The same applies to these countries solidarity with Poland and Hungary. There is a lot of inequality and lack of solidarity within the Europe – income levels, opportunities, vis-a-vis commerce, relationships (disproportion in ratio western women with eastern man between the reverse), satisfaction, and many other. I am not against immigration and refugee intake, but a limited and wise, when all hosts concerned participate in how this is going to happen and that refugees welcome it and integrate well both short, medium and long term. “I am not against immigration and refugee intake, but a limited and wise, when all hosts concerned participate in how this is going to happen and that refugees welcome it and integrate well both short, medium and long term.” Great, Michal. That is actually the current EU policy.